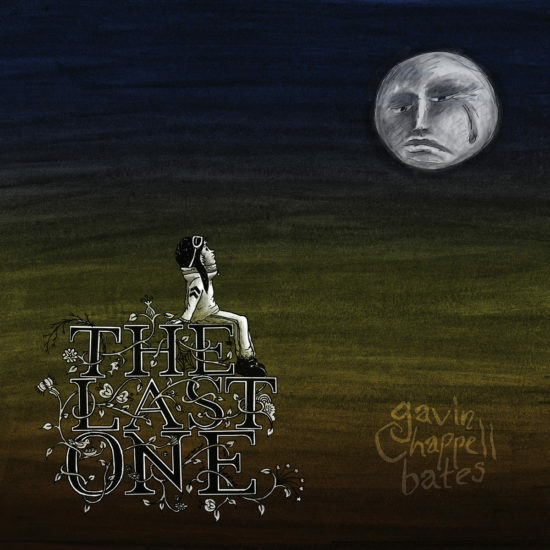 A track-by-track review of ‘We Are The Ones’, the debut album by Cambridge singer/songwriter Gavin Chappell-Bates. 1. Church Of Rock ‘n’ Roll. This is a blasting punchy rocker. The meticulous care and attention to detail that Gavin puts into his music is evident from the start and we get an early reference to his favourite band (Manic Street Preachers, a band whose cult status and influence continues to grow). 2. All Ways. A sort of ‘you and me against the world’ feeling, over some ringing guitar and hefty bass and drums. 3. 95. See my earlier review of this standout anthem, making 1995 sound like a good place to be. 4. Refugee. The musical centrepiece of the album, an abstract lyric over a gentle beginning then full-on guitar (check out the scenic views of Cambridge on the video for this one). 5. We Are The Ones. The title track is a companion piece to ’95’, less specific in its references but similar sentiment. And very catchy. 6. Writing In The Sand. An acoustic ballad with increasing layers of backing, as Gavin can show to good effect when using his looping techniques in live performances. 7. Black Holes. Improbably low bass riff underpins a tale of regret as life’s moments succumb to the gravitational inevitability of the title. Definitely one of my favourite tracks. 8. Dead End Disco Streets. A big sweeping song, the lyric populated with a cast of lost characters whose only escape is music. Good strings on this one. 9. Follow The Light. Simple optimistic sentiments, evolving into another catchy chorus. 10. The Finest Hour. A rarity amongst current music, a political protest song. Some sharp commentary about unfulfilled promises over a nice Celtic riff, and possibly the first time I have heard Neil Kinnock mentioned in a lyric. 11. Last Angel. This is a heartfelt and uncomfortable track about despair with a sung note of goodbye ‘…tonight will be my last night on Earth’ featuring a guest vocal from Kathryn James. 12. Starlight. As a contrast to the previous song this moves from the individual to the universal with astronomical contemplation linked to a touching tale of love. And another big chorus. This is an impressive collection; I recently caught a warm-up show preparing for the album launch on 8 April at The Portland Arms in Cambridge and these songs work very well with a live band…. This entry was posted in Music and tagged album, album launch, CD, Gavin Chappell-Bates, LP, review, We Are The Ones on March 22, 2016 by iknoweno. The Seven Twenty is the musical project of singer/songwriter/guitarist James Burling, in the making for many years and involving many guest musicians. It is an diverse collection of personal songs, with many styles to frame each tale of love, disappointment and comment on modern culture. The opening song ‘Corridors’ is a cinematic waltzing ballad with roving bass line and swooping strings, featuring a catchy hook line and evocative guitar solo. In total contrast is the two chord noisy attack of ‘Haiku’, complete with obsessive lyric and garage-band production. Then ‘Wonderful’, an electric ballad overlayed with multiple choral voices brilliantly interweaved as if they are almost performing a different song. No criticism intended, the combined effect is hypnotic, rich and original. After three strong opening tracks, there are plenty more to come, each adding something a bit different. This includes ‘FU,NY’, a low-key Dylanesque ballad with sparse guitar and more reference to New York which seems a recurring lyrical theme throughout the album (parts were recorded there, including some distant sound effects and there is a photo on the inner sleeve). At the album launch James was accompanied on stage by bass player Stewart Harris and guest guitarist Neil Bruce from this album and the live sound was augmented by drumming from Helen Robertson, all adding an extra dimension to the recorded versions. This entry was posted in Music and tagged album launch, Cambridge, James Burling, live, Portland Arms, review, seven twenty on December 13, 2015 by iknoweno.